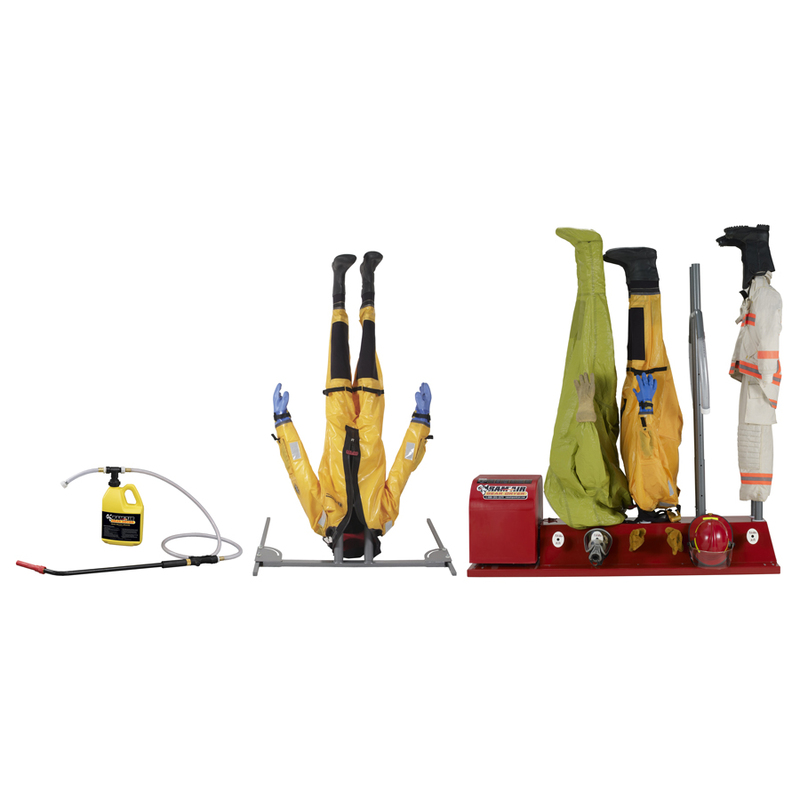 Ram Air’s Special-ops Decon System Bundle simplifies the process by teaming a decontamination sprayer with a rinse station and a gear dryer. The Rinse Station securely holds gear in an upright position for easy cleaning and gear decontamination using the Ram Air Gear Decon Sprayer. The sprayer automatically mixes water and gear-cleaning solutions/disinfectants with air to achieve a foaming action for optimum turnout gear decontamination. After cleaning, the dressed stickman is tranferred to the 4-IHT Gear Dryer for quick drying without further handling of the gear.